Monitors with adjustable sensitivity located under mattress. 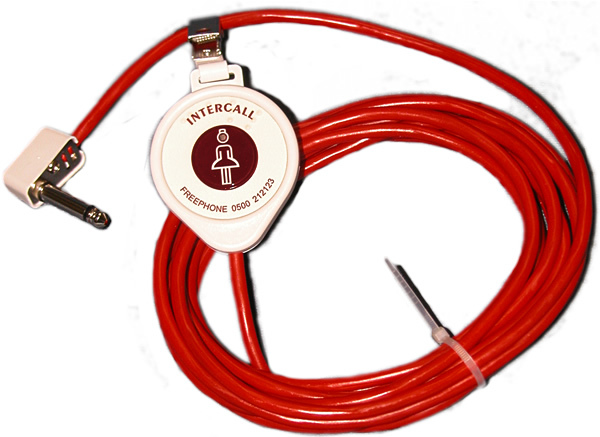 Even the most severely handicapped people can have access to your call system with the BC1 Breath Switch. It operates in a similar way to the pear leads and the air switch above, by generating a standard call, and plugs into the jack on all Intercall call points. It is supplied with detachable mouth-pieces which can be sterilized.